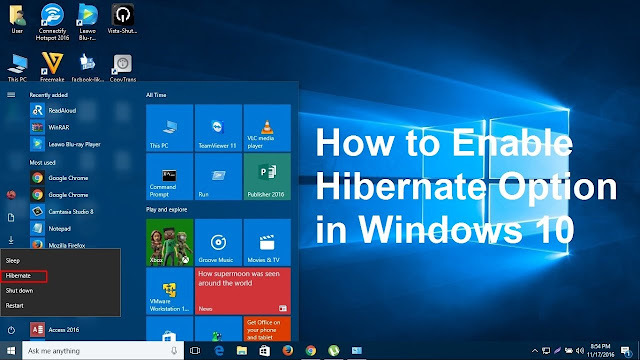 How to enable Hibernate option in windows 10. 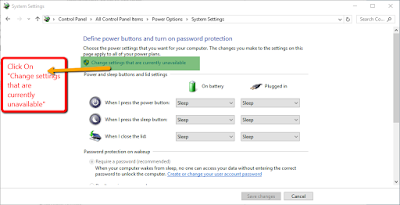 If you miss the Hibernate option in Windows 10 power menu here is a step by step guide that will enable hibernate option in power menu , screen lock power menu or even if you press ctrl+alt+del to enter in task manager mode. 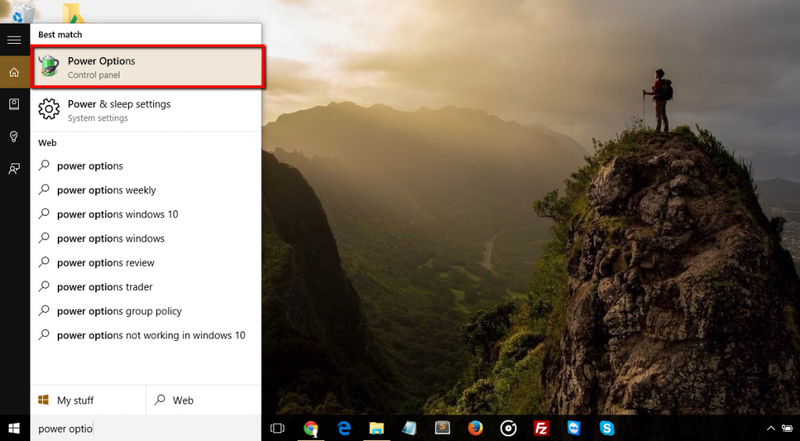 Just follow these simple steps. 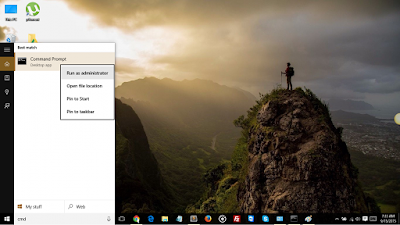 Open the Control Panel (icons view), and click/tap on the Power Options icon. 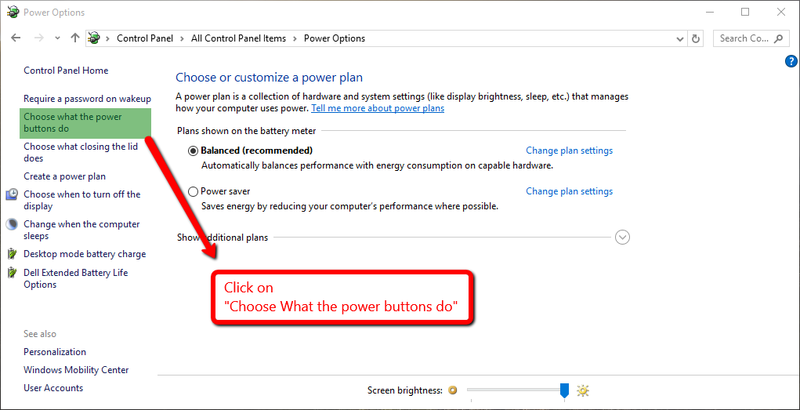 Or just type down “Power Options” in CORTANA searchbox and click on “Power Options”. 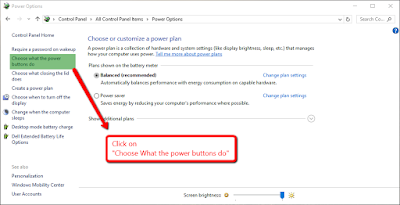 Click on the “Choose what the power buttons do” link on the left hand menu. 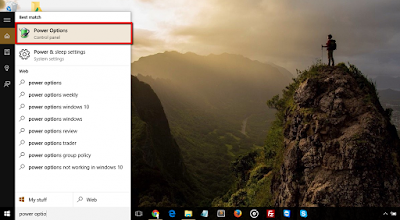 Click on the “Change settings that are currently unavailable” link at the top. If prompted by UAC, click/tap on Yes. 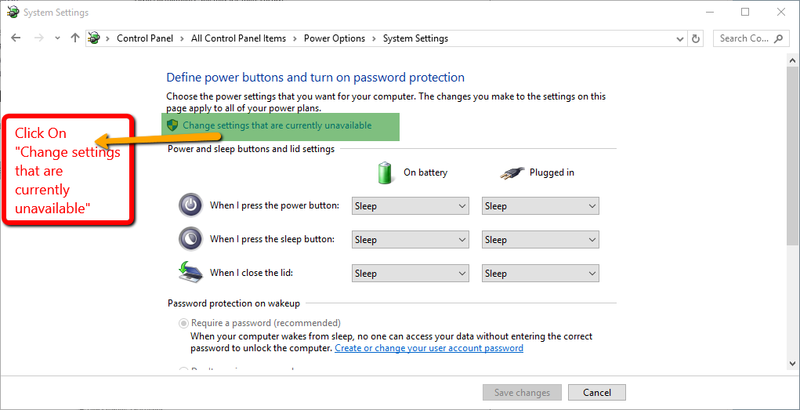 a) Check the “Hibernate” box under Shutdown settings, and click/tap on Save changes. 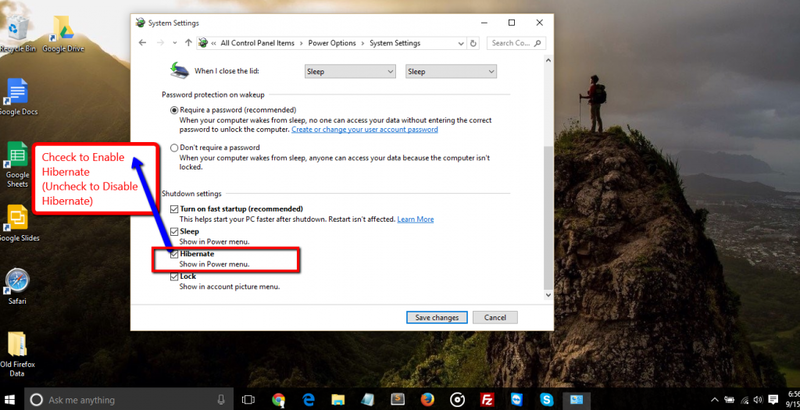 b) Uncheck the Hibernate box under Shutdown settings, and click/tap on Save changes. 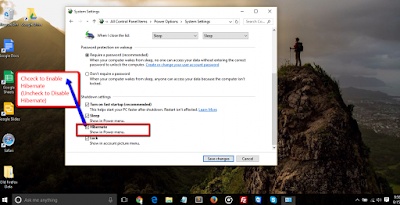 If for some reasons you don’t see Hibernate button in that section just do the following.